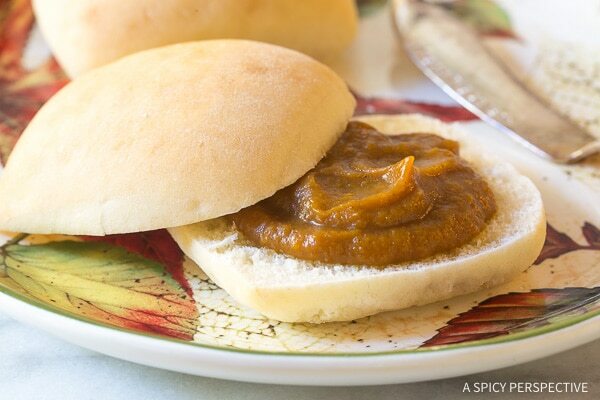 This easy 6-ingredient Slow Cooker Pumpkin Butter recipe is the perfect thing to spread on rolls this holiday season! Can you believe Thanksgiving is just a couple weeks away? This fall we were able to enjoy an early Thanksgiving feast with someone I truly admire, Sister Schubert, creator of Sister Schubert’s Rolls. Sister Schubert’s Parker House Roll recipe has been lovingly handed down in her family for over 5 generations. She started her company years ago, after discovering she could partially bake and freeze her rolls, to sell in small pans at a church bake sale. Those buying her rolls, could then store them in the freezer, and pop them in the oven to finish baking whenever they chose. Her bake sale items were so popular; each year she would receive hundreds of pre-orders. Nowadays you can find Sister Schubert’s Rolls in most major grocery stores across the nation. It was such a joy to have the Sister Schubert come to my house! 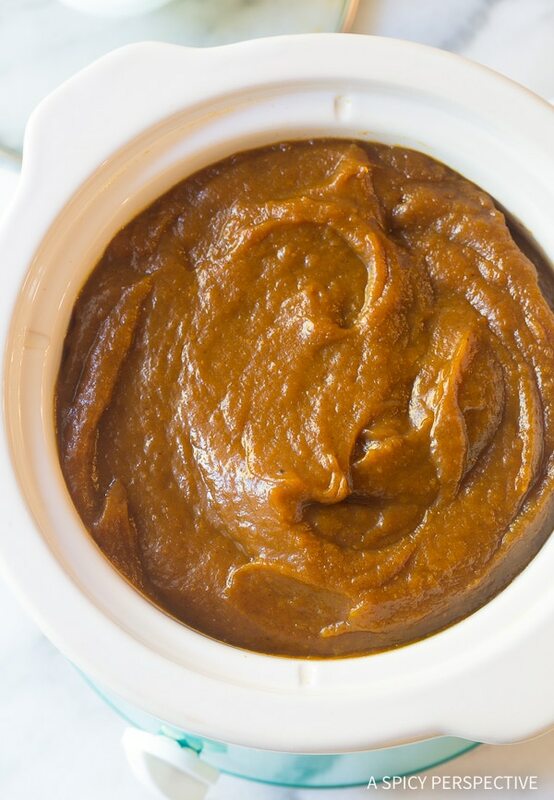 We spent an afternoon talking, laughing, and cooking Thanksgiving dishes, including my Slow Cooker Pumpkin Butter recipe. My daughter Ava loved cooking with Sister and listening to her stories. Sister shared some of her family’s Thanksgiving traditions. 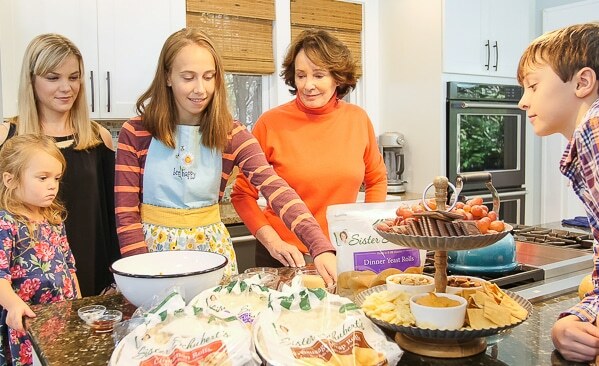 She also expressed her feelings of joy and humility every time she hears from a Sister Schubert’s Roll lover, about how her family recipe has become part of their family traditions. When our guests arrived Thanksgiving day, it was much of the same. 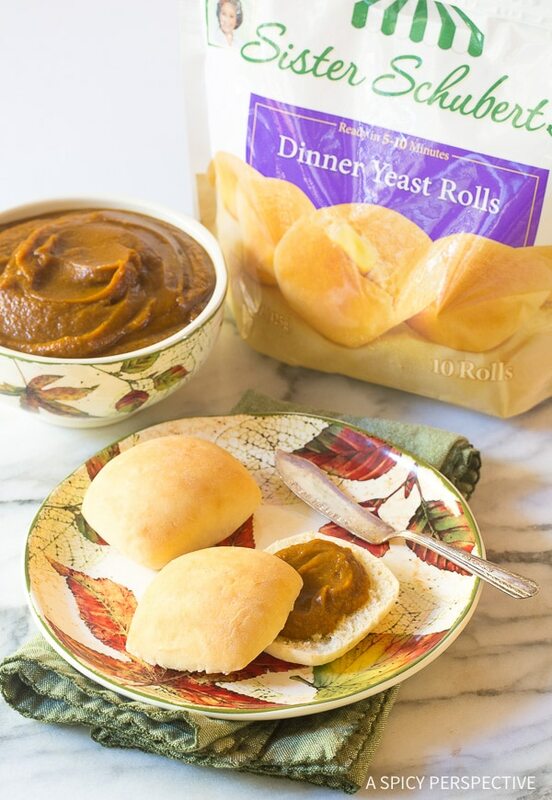 My personal friends and family had their own stories to share about how Sister Schubert’s Rolls have become a staple on their holiday tables. It just goes to show that a family tradition, shared in love, can impact a lot of people. Thank you Sister for following your heart! My time with Sister Schubert encouraged me to think back on past Thanksgivings, and all the little life lessons I’ve learned along the way. For instance, I’ve discovered my family anticipates the repetitive things we do each year, much more than they let on. These family traditions, no matter how small, make our Thanksgiving day special in their hearts. So when we are rushed or stressed, and skip certain nostalgic elements, it’s a major let down. Therefore, I’ve determined to never let myself get overwhelmed on Thanksgiving. That way, important moments don’t slip through the cracks. I keep myself in a peaceful state Thanksgiving day by preparing ahead… Cooking twelve side dish recipes and an enormous bird, all in one day, would stress anyone out! The week before Thanksgiving, I check-off a couple tasks each day. By Thanksgiving morning, all I have to do is pop my turkey in the oven, and lazily heat things up. 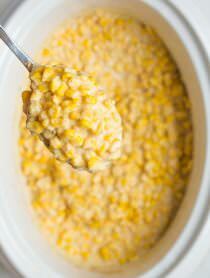 I also like to put as many recipes in slow cookers as possible, to make room in the oven for dishes that must be baked or roasted. 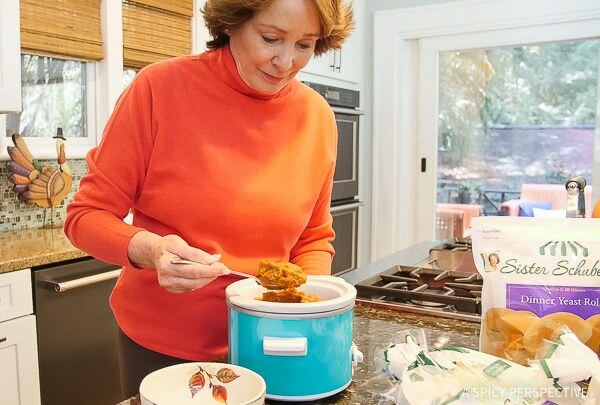 Over the years I’ve collected four crockpots, so that frees up a lot of oven space! Another thing I do to stay stress-free during the holidays, is to make the most of high-quality premade items. Let me be clear… There is no shame in offering your guests a blend of made-from-scratch recipes, semi-homemade recipes, and even dishes that you picked up at the store. Where did we get this crazy idea, that if we didn’t milk the cow, churn the butter, grind the wheat, and make the dough by hand, our recipe is not worthwhile?! This sort of thinking will only leave you feeling haggard, guilty and anxious. Even a full-time cook like me, feels the pressure of holiday cooking and baking. This year, don’t set unrealistic standards that will keep you from enjoying time with your family. Sometimes I buy pies and cakes from our favorite local bakery, to offset the workload. Another trick I’ve learned since moving to the south, is to bake Sister Schubert’s Rolls for holiday meals, instead of making bread from scratch. Sister Schubert’s Rolls are so much like homemade, in my humble opinion, it’s not worth taking the time to make rolls from scratch around the holidays. 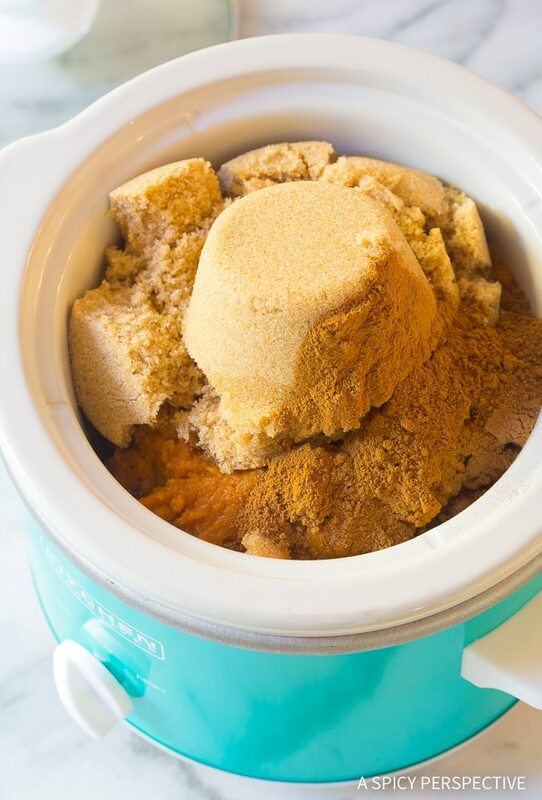 Instead of measuring, mixing, kneading, portioning, proofing, and baking… You simply lay Sister’s frozen rolls on a baking sheet and pop them in the oven for 5-10 minutes. 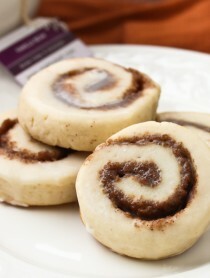 They are frozen to naturally preserve the homemade taste of real ingredients. Finish baking them right before your Thanksgiving feast, for homemade tasting rolls your entire family will love. 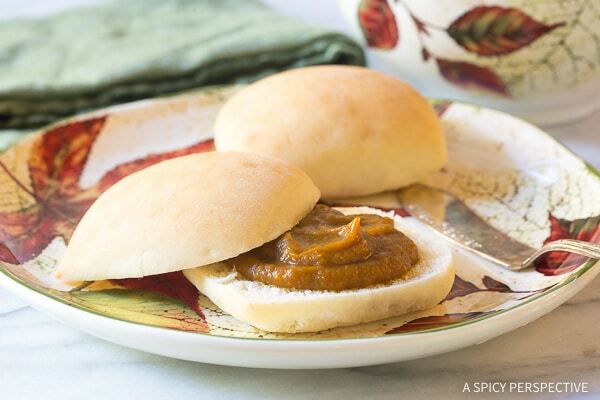 Sister Schubert’s Rolls are warm, soft, aromatic, and perfect for butter or holiday spreads like today’s Slow Cooker Pumpkin Butter recipe! 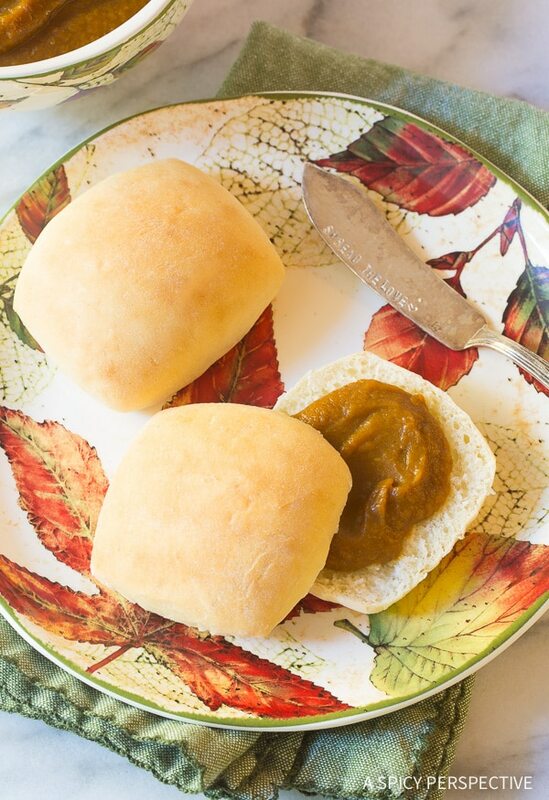 Sister Schubert has been helping savvy southern cooks for years, by providing partially-baked rolls that are ready in minutes, and taste just like grandma used to make! 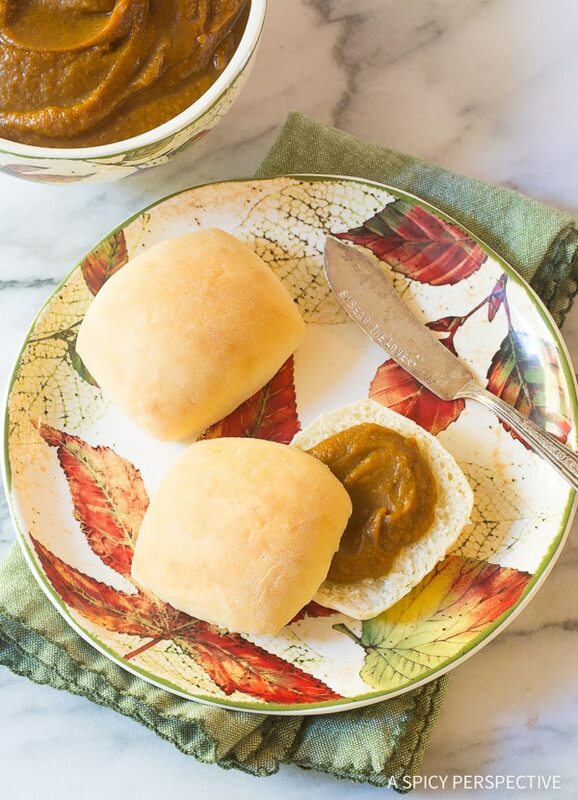 Check out our video of Thanksgiving with Sister Schubert, with a tutorial on how to make silky spiced Slow Cooker Pumpkin Butter to slather on your hot dinner yeast rolls. This is a sponsored conversation written by me on behalf of Sister Schubert’s. The opinions and stories told throughout the post are personal and true to me. 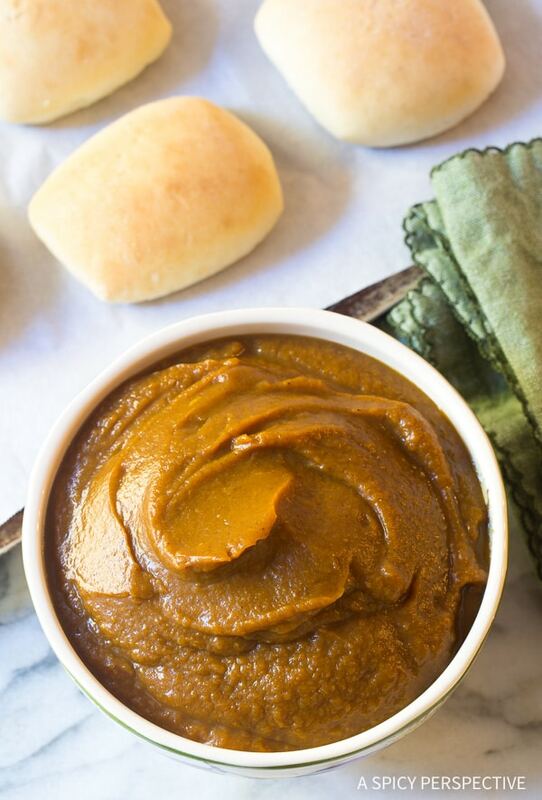 Slow Cooker Pumpkin Butter Recipe - A simple 6-ingredient spread that tastes delicious on warm rolls, and peanut butter sandwiches! Set a small 1.5-2 qt. crockpot on low heat. 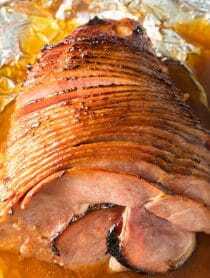 Cover and slow cook for 3-4 hours. Serve warm, at room temperature, or cold. 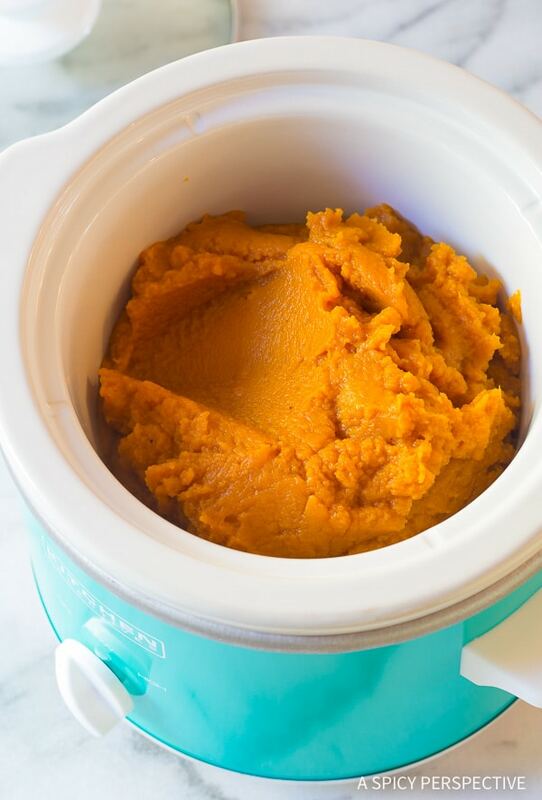 Store in an airtight container and refrigerate for up to two weeks. Awesome!! it’s perfect for Breakfast. Love this I think It’s so Yammi. Thank you, Sommer! !